Remember all those times the crew on Star Trek analyzed unknown material with their Tricorder and then immediately determined it’s molecular composition? 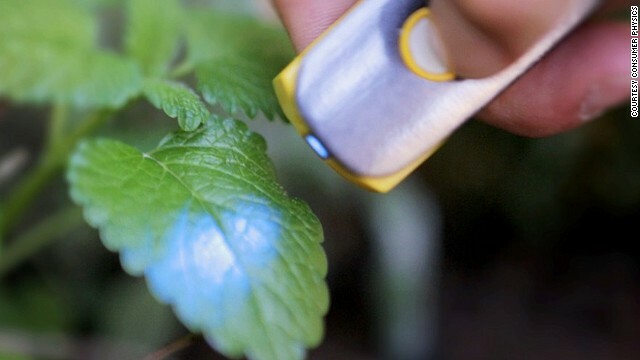 Well the SCiO pocket spectrometer from Consumer Physics isn’t strong enough to work on that weird mineral world but it can work on food and house hold plants. The scanner emits an near Infra-Red wavelength light that scans a sample and reads the molecular content. The data is then imported to an App which displays the nutritional content of a scanned food item or the content of active ingredient in a medication. The creators admit there are draw backs such as interference from packaging etc, but centralizing the data analysis is a significant step forward in streamlining content analysis. Ununseptium: A New Super-Heavy Element!